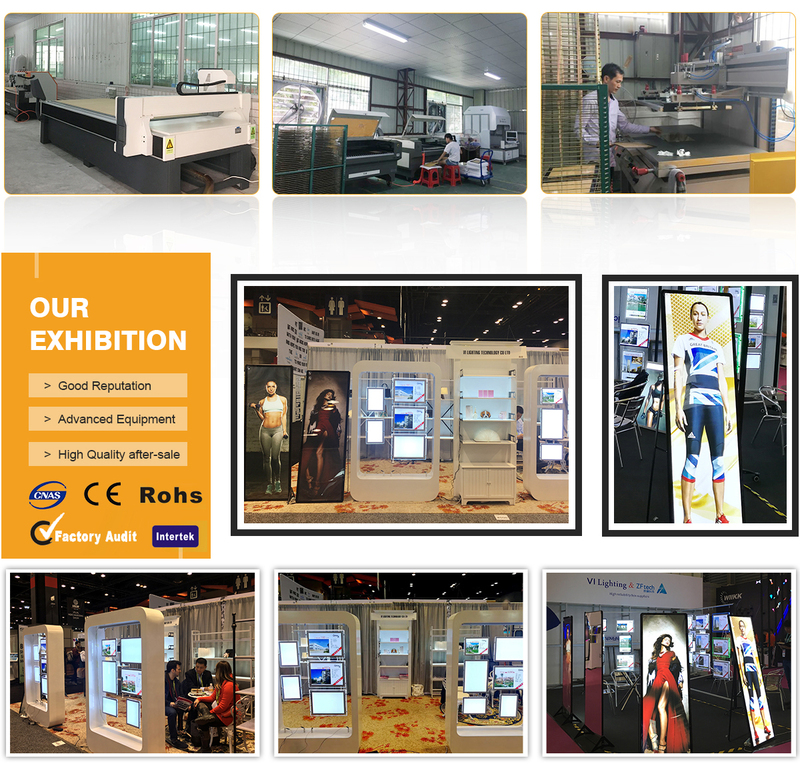 Shenzhen VI Lighting Technology Co. Ltd is a fast-developing manufacturer of LED illuminated signs, LED light box, LED digital display, LED screen and LED writing board with well-equipped testing equipment and strong technical force. We have laser 3D dotting machines, laser 3D V-cutting machines, CNC machines, panel saws and silkscreen printing machines. Our workers are well trained and skilled. With an experienced and professional designing team,we can design and manufacture signs to suit any application and achieve just about any desired action, effect, colour, lighting or enhancement. We provide concept visualization, prototyping, construction and manufacturing of bespoke display solutions. We pick up actual trends and turn them while developing new solutions and projects assisting you from concept right through installation. In order to supply the best products and services, we have built a modern quality management system which is in strict accordance with international standards. Meanwhile, in order to meet the needs of overseas clients, most of our products have been CE and RoHS certified. Our factory is located in Shenzhen city with convenient transportation access, which is situated immediately North of Hongkang, is China's first and one of the most successful Special Economic Zone. Our clients include estate agents, major banks, building societies, retail outlets, hairdressing salons, shopping centers, government departments, schools and museums, which are from France, Germany, England, America and Canada.